Keith McKinney grew up in Cushing, Oklahoma and attended the Frist Baptist Church. At the age of 14 he was playing bass guitar for the Flying Cloud Gospel Singers of Cushing, who sang in various cities, towns and states. At 15 years old, he was saved and baptized in his home church. After high school, Keith joined the Air Force and served 12 years in the US Military while primarily based at McDill Air Force Base in Tampa, Florida. During his service, Keith also served overseas in the Philippines. He was the lead singer in a group that toured military bases across Southeast Asia, including Vietnam, Thailand, Taiwan and the Philippines. It was during Keith's time overseas that the band was noticed by Bob Hope and was invited to take part in the USO tours. The tour included performances in Guam and other countries, and saw the band perform on stage with great acts like Redd Foxx, Lola Falana and others. Once Keith was stationed state-side again in New York, he started a 14-piece band that opened for great acts such as Sam and Dave, The Commodores, Wilson Pickett and Percy Sledge. His group also performed throughout Canada and Goose Bay Labrador. 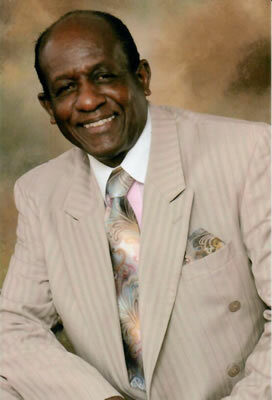 He also joined the gospel group Florida Soul Stirrers as the lead singer. While a member of this group, he shared the stage with many gospel music legends, including the Mighty Clouds Of Joy, Willie Banks and Messengers, The Blind Boys of Mississippi and Alabama, The Violinaires, Shirley Caesar, the Dixie Hummingbirds and many other gospel ministries. After his discharge from the Air Force, he moved back to Tulsa, Oklahoma, and with some of his friends, he formed The Gates Of Heaven as the lead singer of this ministry. Keith has had his ups and downs, and he is now back singing as a solo artist. He knows he is on the road that was and is God's purpose for him to spread the Gospel in songs of God's goodness, forgiveness, love and amazing grace; to share these messages with everyone that will listen. Keith believes God gives you the victory and if you find yourself headed in the wrong direction, God always allows u-turns. If you want this dynamic singer and speaker to minister in your next worship service or other ministry event, contact Keith today using his booking information above.